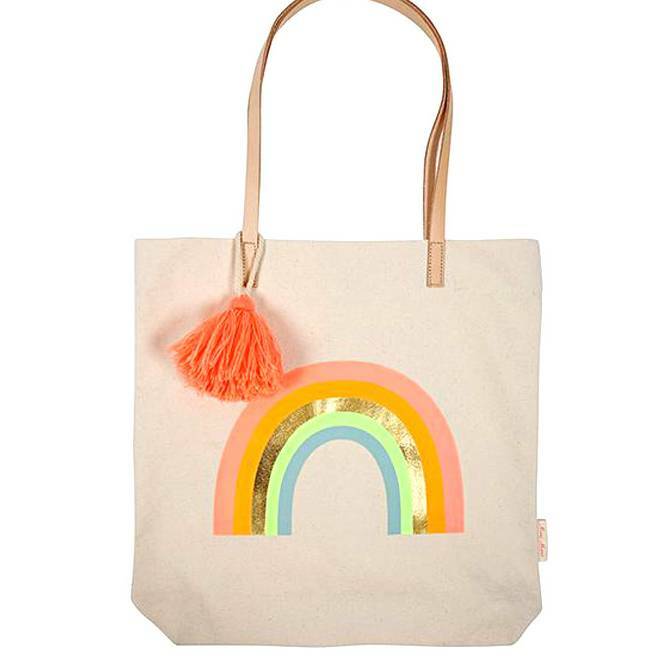 The brightest bag you''ll hang on your shoulder! 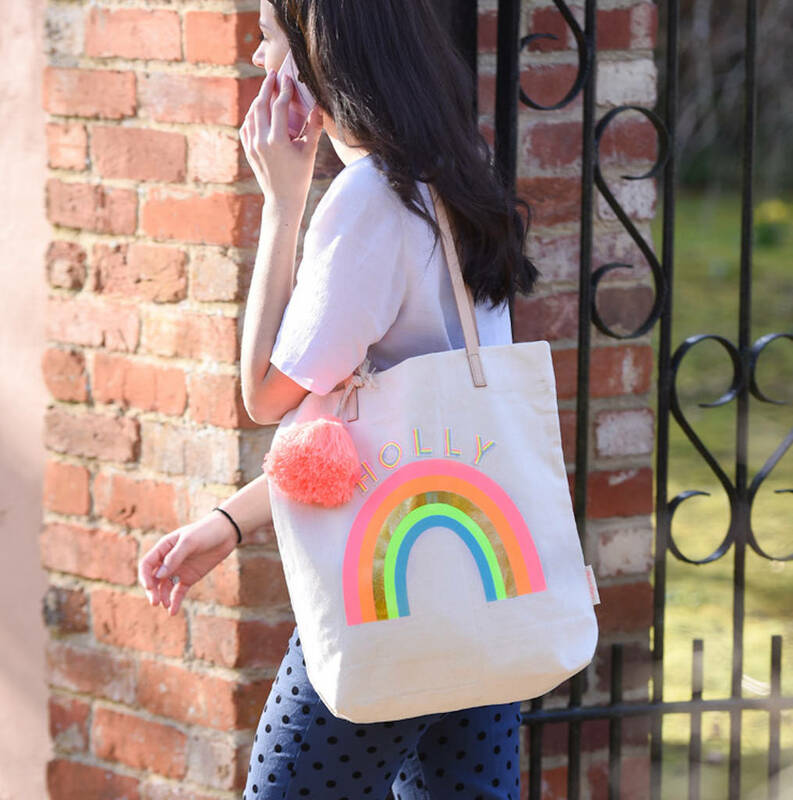 This big canvas tote bag certainly makes a statement with this rainbow print and fun tassle! 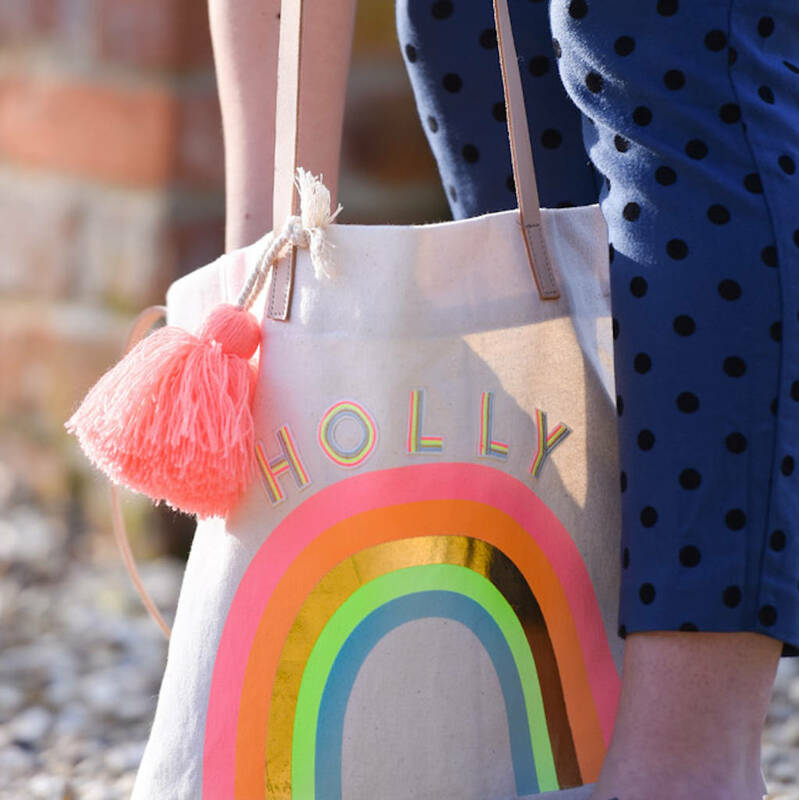 Big enough to fit all the essentials in! Perfect for the beach or the gym!